Originally published under the title "Facebook Came Up With A Ridiculous 'Strategy' To Fight ISIS But Obama Might Actually Start Using It." 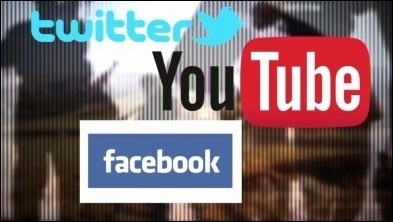 The Obama administration lacks a viable strategy for disrupting ISIS' use of social media to recruit members and disseminate its propaganda. The persistent and unprecedented failure of the Obama administration to conduct foreign policy in ways that promote American interests is baffling to most observers. The impulse to offer succor to those who would do us harm became almost too absurd to parody when State Department spokesperson Marie Harf suggested in January of 2015 that ISIS could be disarmed with a jobs-for-jihadists program. A month later, White House Press Secretary Josh Earnest answered a question on counterterrorism by claiming that the administration was hard at work developing "some pretty sophisticated social media strategy." But it appears now that the administration is contemplating an even less confrontational approach – a widespread effort to "Like" ISIS. Policymakers must abandon the delusion that our enemies can be swayed or defeated by displays of kindness. This new low point in foreign policy thinking came in the person of Facebook Chief Operating Officer Sheryl Sandberg, an Obama insider who was rumored in 2012 to have been on the short list for a second-term cabinet position. In a January 20, 2016 panel at the World Economic Forum in Davos, Switzerland, Sandberg offered what appears to be a new counterterrorism strategy – the "'like attack." This amicable assault occurs when the forces of good wage battle against the forces of evil by flooding their Facebook pages with "Likes" and posting positive messages there. As Sandberg explained, "The best antidote to bad speech is good speech and the best antidote to hate is tolerance." 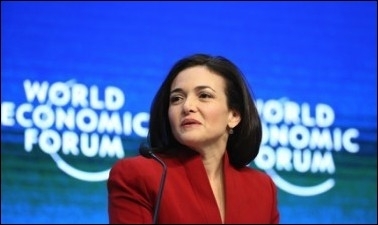 Illustrating her facile theory with an anecdote about a neo-Nazi party in Germany whose Facebook page was deluged with "Likes" and positive messages, Sandberg concluded triumphantly that "What was a page filled with hatred and intolerance was then tolerance and messages of hope." Just like that. Facebook Chief Operating Officer Sheryl Sandberg, an Obama insider, has a plan for fighting ISIS with "messages of hope." Sandberg was very vague on how the "Like attack" would affect ISIS, and her implication that neo-Nazis and Islamists will react similarly to these social media stories betrays a shallow understanding of Islamism. Like her previous campaign to ban the word "bossy" (oddly similar to the Obama administration's attempts to ban the words "Islam" and "jihad" from discussions of terrorism), any effort to prohibit something solely by proclaiming it prohibited has no chance of succeeding. It is tempting to dismiss Sandberg's folly as nothing more than the self-aggrandizing eccentricity of a billionaire tech guru, but she is taken seriously at all levels of the Obama administration, including the Department of Defense. Secretary of Defense Ashton Carter calls Sandberg a friend and says she "has strong expertise in our mission." Carter has implemented Sandberg's "Lean In Circles" in the Pentagon. Her ideas are taken seriously by many Democrats, including Hillary Clinton. The erstwhile New York Senator and Secretary of State, perpetual presidential candidate, and frequent advocate of the oxymoronic "soft power," appears to be convinced of the thinking behind the Facebook fusillade. The former first lady often claims that effective foreign policy is simply a matter of rejecting what she calls "the clash of civilizations." In place of the "hard power" implied in "clash," she has lately taken to extolling the powers of love and kindness. Her embrace of the pusillanimous outreach agenda has recently become even more pronounced. In a January 6th feel-good interview with Youtube luminaries GloZell, Shameless Maya, and Chriselle Lim on Amanda de Cadenet's Lifetime Network show, she channeled John Lennon with this deep analysis: "I really believe we need more love and kindness and nurturing in our country, and in the world." American interests will be far better served if the policy-makers in the next administration abandon the delusion that our enemies can be swayed, even defeated, by a display of our love. John Lennon was wrong: you need more than love.